Hi. I’m Erica. Welcome to the K-fiction blog party! I’m one of the official stops. I write fantasy-romance. Who doesn’t love fairy tales and happy every afters? I certainly do. So, what drew me into writing Korean influenced stories? I’m watching for the story. And the music is often part of that story. My favorite actors though are mostly Korean. My first Korean drama was Winter Sonata, which I watched with my sister. Occasionally over the years we’d gather together to watch one of the DVDs she’d buy from licensed providers, such as YA Entertainment. Then one day, while struggling with insomnia I took to writing a story letter to my cousin. That lead to more stories, and an increasing thirst for knowledge about Korea, her culture, and history. I’d always been interested in Asia, so to have some exciting ideas about the world(s) I wanted to create in my books was, well, that was simply amazing. I released Eun Na and the Phantom first. It’s the first one set in a fictional Korean world in the entirety. I opted not to use Korean money, and took creative license. But, I wanted to remain true to the strong family values I had seen. 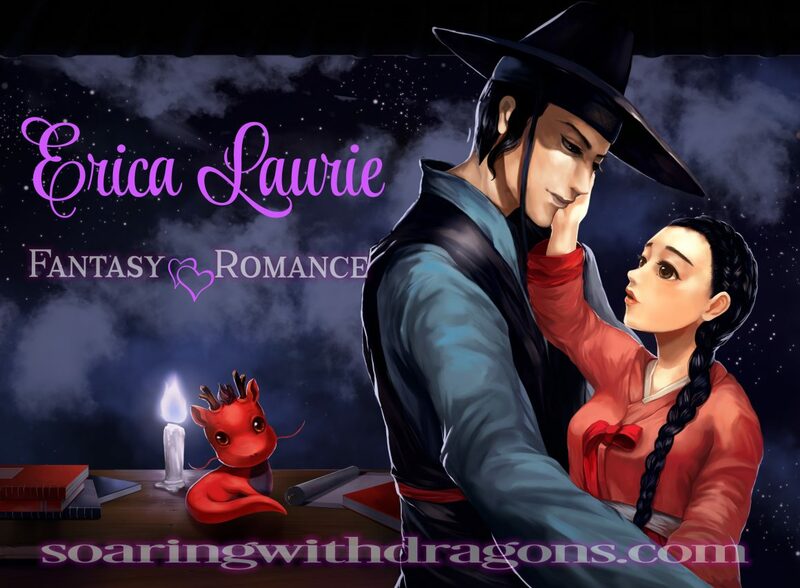 It is an historical fantasy inspired by a Korean folktale. Foxtails was released due to request. It has previously been on wattpad, and my readers there kept asking for it. Part of takes place in England, and the other part takes place in a world called The Spires, which is a mix of West and East, drawing influences from Japan, Korea, and China respectively. I loved writing it. Evangeline is my third published title. It’s a romance, that ties in another Korean folktale, The Woodcutter and the Sky Fairy. (Sometimes titled the Woodcutter and the Heavenly Maiden.) Like the heavenly maiden, Evangeline is not from Joseon. And like the woodcutter, Beom will have to make a decision about letting her go. It’s also a story about loss, and enduring love. Chung Jo and the Sea Dragon was in part inspired by the folktale, Sim Chung and the River Dragon. I changed things up, like I enjoy doing. But if you are familiar with that tale, then you know what the leading lady will do, and the eventual ending. Now, for everyone who signs up for my mailing list during the K-book Blog Party, you’ll get a free two book boxset. This boxset is available for a short time via instafreebie.